White gold is produced by admixing various alloy components to stabilise the material and make it appealing for use in jewellery manufacturing and watchmaking. Palladium plays a key role in this since a relatively low amount of, say, 150 parts is sufficient to transform the gold’s yellow colour into the silvery white to which this alloy owes its name. 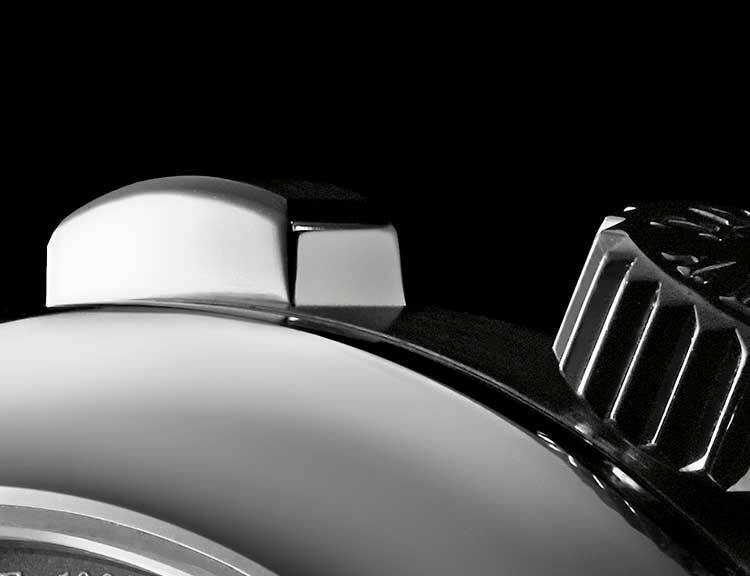 At Lange, we use white gold with a purity of 18 carats (750 ppt.). The development of a SAXONIA starts with the movement. Mechanical essence is the main objective. For the “Blue Series” timepieces, Sebastian Kite interprets the compelling power of blue in an immersive work of art entitled “Continuum”.